Memorial Day weekend kicks into high gear on May 28 at Charlotte Motor Speedway, as the speedway's spectacular patriotic salute to servicemen and women returns before the 58th running of the Coca-Cola 600, NASCAR's toughest test of man and machine. 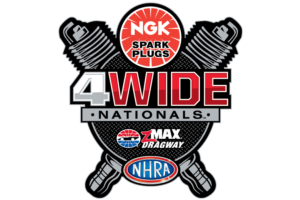 Prior to the green flag of NASCAR's only 600-mile race, a remarkable showcase including 600 Fort Bragg servicemen and women on track alongside Humvees, Howitzers, a HIMARS rocket launcher, an M777 Howitzer and a RAZOR combat vehicle will electrify a captivated audience of race fans. More than 1,000 additional servicemen and women will be at the speedway to enjoy the race day atmosphere. Three massive UH-60 Black Hawk helicopters will take over the sky before Charlotte's iconic pre-race National Anthem performance by the 82nd Airborne Chorus Group. Continuing the "bigger is best" theme for this year's pre-race spectacular, the National Anthem flyover will feature four hulking F-15 fighter jets from Seymour Johnson AFB. The Team FasTrax Skydiving Team continues the aerobatic entertainment with a jump team performance prior to the green flag. 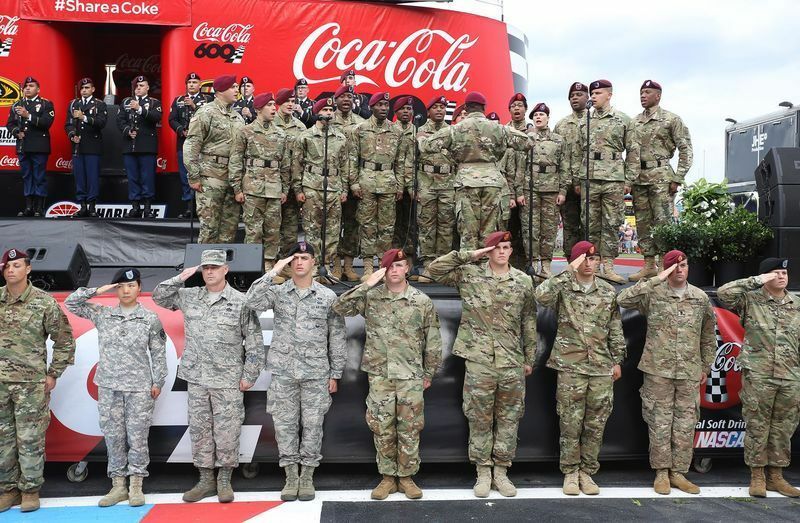 This year's awe-inspiring Coca-Cola 600 pre-race salute to the troops also includes ground exhibitions and a 20-minute performance by the 82nd Airborne division that is sure to get fans on their feet prior to the race. In addition to the military vehicle display, soldiers from the Fort Bragg Firing Squad will engage in a 21-gun salute and Brig. Gen. Francis M. Beaudette will address the crowd. Five Medal of Honor recipients - Col. Joe Marm; Bob Patterson; Hal Fritz; Ed Byers and Shuford Edmisten - will be recognized as well. Movie star Channing Tatum, the leading man in the speedway-set, summer heist movie "Logan Lucky," will serve as Grand Marshal for the Coca-Cola 600 during a day-long cavalcade of entertainment unlike anything else on the NASCAR calendar.